Alltype Facilities Ltd - Central Heating Engineer, Painter/Decorator, Plumber based in Swanscombe, Kent. 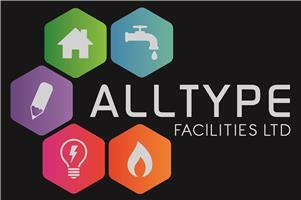 Alltype Facilities Limited is an expanding business based in Kent, carrying out work across London and the South East. We offer a range of facilities services and specialise in boiler installation and replacement. The team is managed by two directors, Darren and Danny, who between them have in excess of 35 years’ experience and are both Associate members of the Chartered Institute of Plumbing & Heating, as well as Danny being a Gas Safe registered engineer. We carry out works for individuals, landlords and management companies, such as estate agents. We are committed to providing an efficient and reliable service. Please feel free to contact us on the details at the top of the page to discuss your requirements and we will be happy to carry out a free quote. For more information, please visit our website: www.alltypefacilities.com and keep-up-date by following our Facebook page.